(VEN) - In order to compensate for the negative impacts of economic sanctions adopted by the US and EU, Russia is moving towards other markets. This is considered a new opportunity for Vietnamese seafood exporters, especially in a context where a free trade agreement between Vietnam and the Customs Union of Russia, Belarus and Kazakhstan (VCUFTA) is due to be signed in the near future. Russia’s Veterinary and Phytosanitary Surveillance Service (VPSS) recently announced a lifting of the temporary import ban on seven Vietnamese aquatic producers to the Russian market and the Customs Union of Russia, Belarus and Kazakhstan. According to economists, this move would offer a new opportunity for Vietnamese seafood exporters. Vietnam Association of Seafood Exporters and Producers (VASEP) General Secretary Truong Dinh Hoe said that Russia could be a good market for Vietnamese seafood such as Tra fish and shrimp. Truong Dinh Hoe also added Vietnamese seafood could make the most of the opportunity posed by the US and EU sanctions. Russia is moving towards other markets such as the former Soviet Union and Latin America. He recommended that businesses should actively adopt specific strategies in order to create a breakthrough. According to the General Department of Vietnam Customs’ statistics, in the first seven months of this year, seafood exports to Russia reached US$36.2 million, an increase of 5.4 percent compared to the same period last year. Seafood exports would be more optimistic in the last months of this year thanks to a lifting of the temporary import ban on seven Vietnamese aquatic producers to the Russian market and the Customs Union of Russia, Belarus and Kazakhstan. According to the plan, VCUFTA would be signed by the end of this year after two more rounds of negotiations. All parties are determined to finalize the agreement. Vietnamese businesses have a great opportunity to promote seafood exports to Russia. Vietnam’s exports remains complementary to production and consumption demands of the parties. Therefore, tariff reduction or elimination will help Vietnamese businesses promote exports. 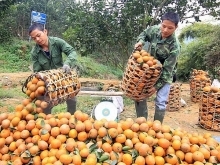 However, the Ministry of Agriculture and Rural Development’s National Agro-Forestry-Fisheries Quality Assurance Department recommended that Vietnamese businesses needed to pay special attention to improving product quality. The department asked for producers and processors to be more aware of guidance on Vietnam, Russia and the Customs Union in seafood processing food safety regulations for exports to the EU. 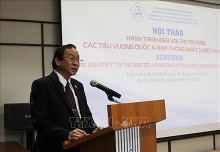 VASEP Deputy Chairman Nguyen Huu Dung said that Tra fish exports to Russia recorded good growth. However, quality has not met requirements. Therefore, Vietnamese businesses need to pay attention to improving the quality, contributing to enhancing the value chain. 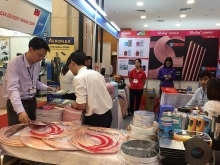 Vietnamese businesses also need to focus on persifying their products./.